Handy LED light for finding door locks in dark situations. 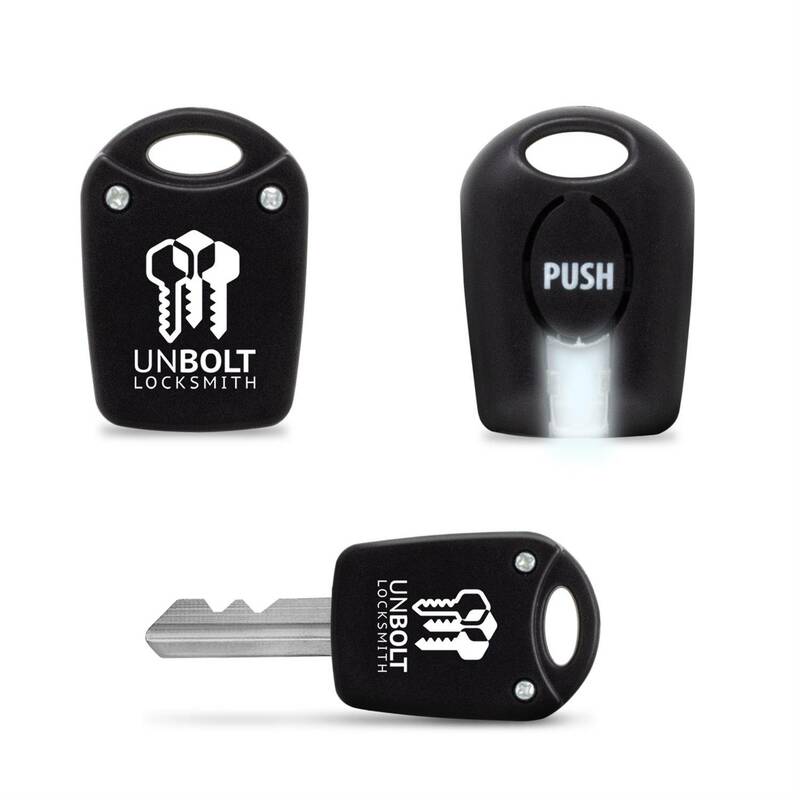 • Fits most keys – adds no additional bulk to keychain. • Push button switch, batteries included.